How can an arch support help "ankle" pain? Because often the pain that you feel towards the inside of your ankle is actually originating from the inside part, or the arch, of the foot. Often patients come to the office with a chief complaint of ankle pain, and they point to the inside of the ankle bone and just beneath it. What they are truly pointing to is the part of the posterior tibial tendon, which courses behind the ankle bone and inserts into the arch of the foot. Different things can aggravate this tendon,causing an inflammation, or a tendonitis. Sometimes it is hard to pinpoint what could cause the tendonitis. For example, it can be due to an acute injury, or it can be due to trying a new activity or exercise, or even increased time weightbearing with poor arch support in their shoes. Since this tendon helps hold up the arch, a simple arch support, or orthotic, in your shoe can help as part of your treatment plan. 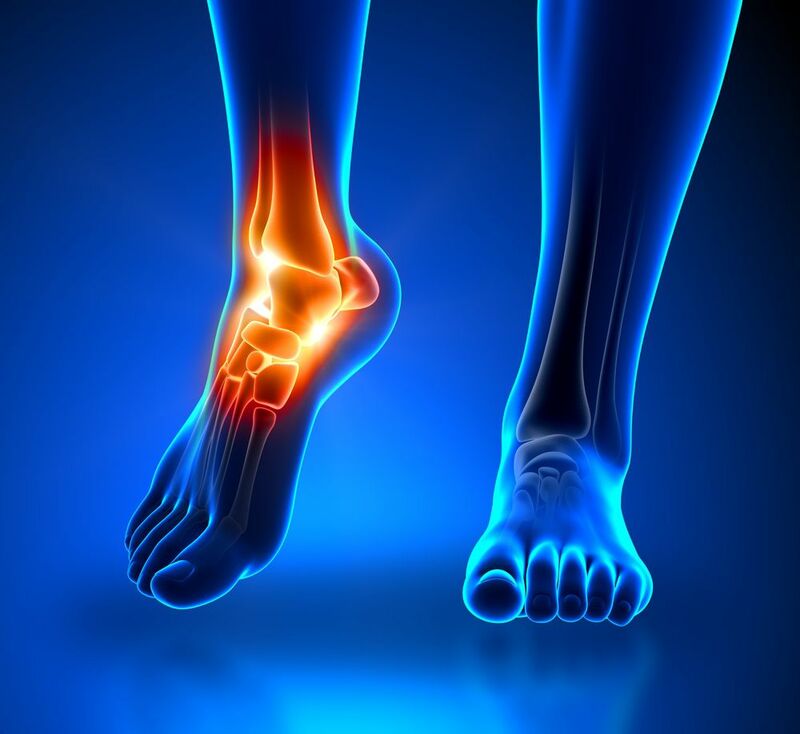 If you are having ankle pain or foot pain, the first step is to make an appointment with one of our doctors at Prairie Path Foot and Ankle Clinic. After a thorough exam and digital Xrays taken in our office to rule out any bony deformities, our doctors will come up with a thorough treatment plan that will incorporate bracing and arch support to decrease pain. A good arch support will also be necessary to prevent the pain from coming back. So call our office today.